Cityplay is our customer concept for cities and high streets. With Cityplay we identify customers, and by analysing their behaviour and activity, we help cities and local retailers to make the most out of the benefits of a city. 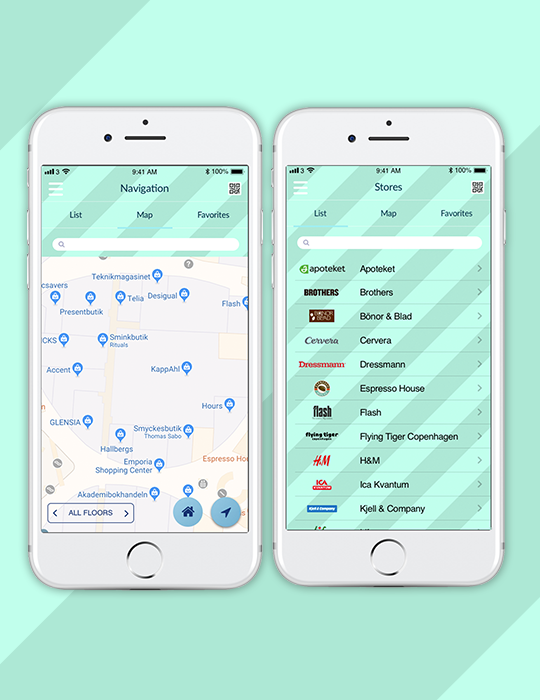 Cityplay is an APP that combines necessary city functionality, such as navigation, city news and store information, with a unique and innovative shopping and gamification experience - the "Play" in Cityplay! By combining needs with fun, we want to create value for local shoppers and get them to go from being anonymous consumers to identified customers. For it is only when we know our customers that we can benefit the most from them. Cityplay triggers sales activities and connects shopping and the customer journey with rewards and data insights. Cityplay is focused on local shopping. The idea is based on challenges. Complete a challenge and get a reward. Play rewards behaviour that benefits the city, the members and the local stores. Get the weekend shoppers to shop on the weekdays with the "Weekday Challenge"
Increase spending within the city with the "Big Spender Challenge"
Get the members to try out different restaurants with the "Foodie Challenge"
Diversify the members shopping habits with the "Explorer Challenge"
The stores have the opportunity to increase sales and reward loyal behaviour with store challenges. The customers shop X number of times or for a total amount and get a reward from the store. The concept is easy, complete a challenge and get a reward. The city rewards are provided by the city, it can consist of added services like parking, free toilets or other privileges and/or products. 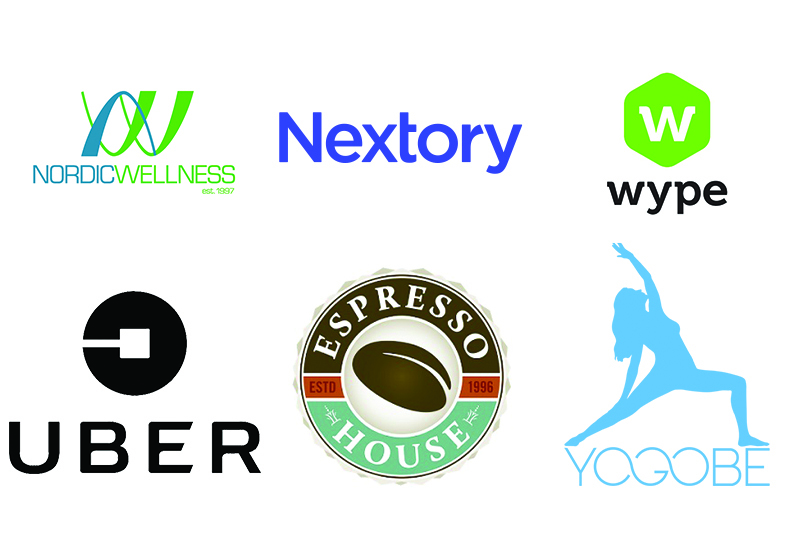 In order to help provide for these rewards, Goloyal has created a partnership program that gives product brands and digital services the opportunity to reward and show their products for the city´s inhabitants. The merchant rewards its own customers with gift certificates. These certificates are automatically created within Cityplay and given to the member when the amount set on the challenge is spent at the merchant. These "vouchers" is of course only valid at the particular merchant. No equipment or integration is necessary. Cityplay is not just about shopping and activation. Cityplay is an app that combines rewarding with useful and necessary city information. Cityplay is the app that benefits all inhabitants. Market all city events in Cityplay for wider reach or create a challenge and give out tickets to active shoppers. Find your way in the City and off course to the connected merchants and other participants. All active offers in the city, to make sure that we collect all value added things on one place. We call it Pay & Play! 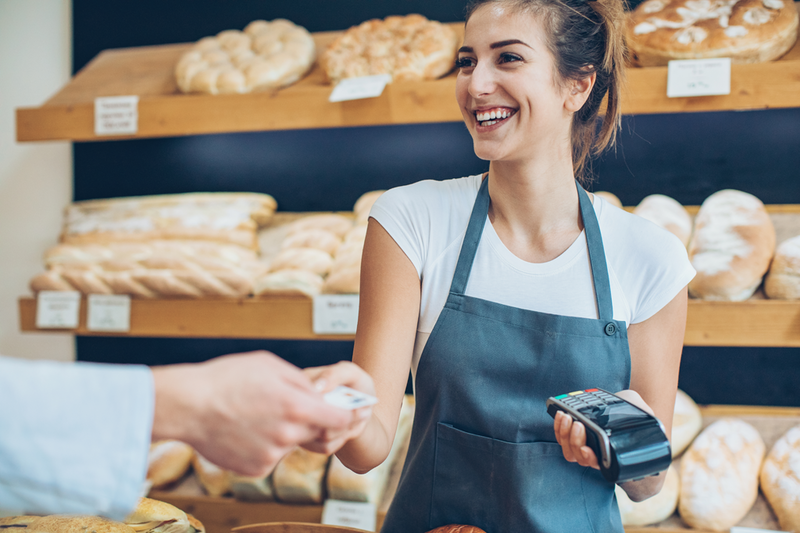 Cityplay can be connected to shoppers payment cards. By collecting real spending in Cityplay both rewarding and data insights improve. By linking customers' payment cards to the app, no scanning of QR code is required, and we can also reward not only by number of purchases but also total sums. Easy and seamless for the customer and for the store. By using this method, you will also be able to see consumption data down to the penny for each consumer profile and the total spend within the program. You can also measure the exact impact and ROI on an individual and total basis. Behind the Cityplay APP is Goloyal Admin. From the platform, cities and stores control the information and activities in Cityplay. Goloyal Admin handles everything from customer data and app content to rewarding and statistics. 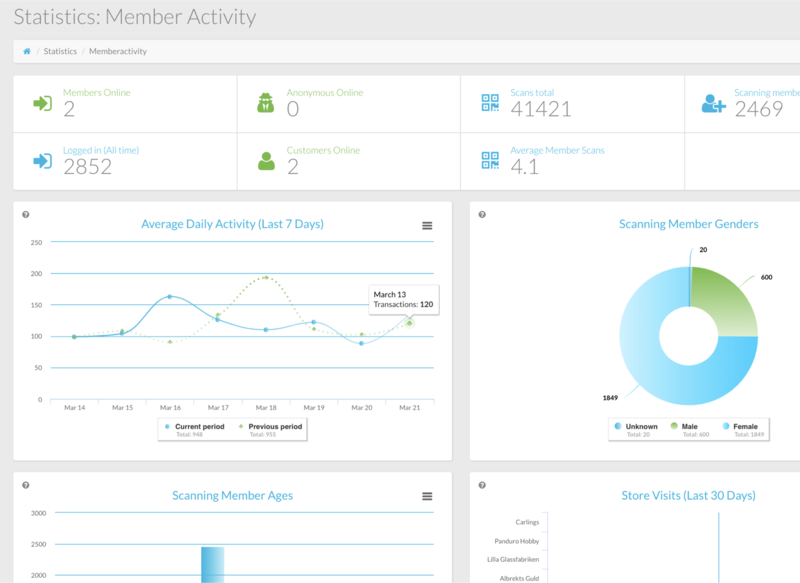 The dashboard gives insights of activities, spending, interactions and member development. All stakeholders have access to the platform. The City controls the APP and the local stores have access to their own data and statistics. Goloyal are fully GDPR compliant and members can at any time give or withdraw their consent to Cityplay.